When the holidays come around, it's time for visiting family, friends and sometime far away places. All that travel during peak travel season can get expensive though. 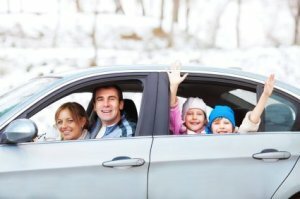 This is a guide about saving money on holiday travel. 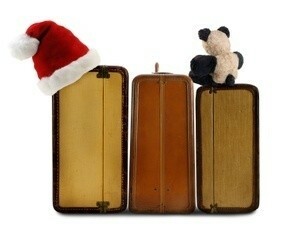 Tips for saving money on holiday travel as suggested by the ThriftyFun community. We used to stop at a convenience store each morning and fill our coffee thermos up for about $2.00, but since most of the motels now have coffee makers in the rooms, we make one pot of coffee using the coffee packet that is furnished. We also bring along a can of our favorite brand, and make fresh coffee for our thermos each morning. If you need to, or simply prefer to, fly the cheapest tickets on Christmas Day. My husband and I have done this for years and it is remarkable ,"what a difference a day makes" (Sorry I couldn't resist the pun). The trip should be the gift for those who you are going to visit, especially with the economy the way that it is. Best wishes for a truly blessed holiday season. Rather than get stuck with all the holiday run around, just plan to stay home this Christmas. You can set up a video chat with your relatives online or just use the good old telephone. Maybe plan a trip every 5 years, if you have a lot of extended family that lives far away. We took a road trip out West last summer with our 3 kids. Each kid had a crate filled with library books and art supplies (for the road), plus some individual servings of "treats". I brought frozen water and frozen kool-aid, so that we never once bought drinks. We brought sleeping bags and the kids slept on the floor of the hotel rooms. We ordered pizza up to our room (rather than going out for pizza). We brought along our camp stove, so that we could whip up spaghetti, eggs, brats, whatever. We did spend some money on going out to eat, but quickly got sick of that stuff and I couldn't wait to make homemade food. We brought 2 coolers and it was worth all the trouble for all the money we saved!